Tonight's post is my last one for this year - I'll be "on vacation" for the Christmas holidays! Well, I picked this up from the HPB bargain bin and I really expected more of this album. I was actually disappointed and found it rather boring - not what I'd expect from the King of Bling. But, I was already recording it so I'm sharing it with you. 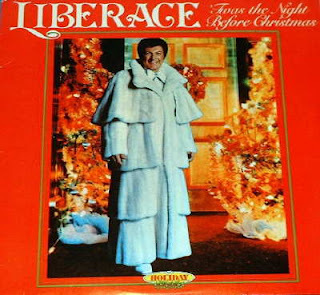 Besides, I know there are some Liberace fans out there! Really, if anything - download it for Liberace's narration of "'Twas the Night Before Christmas" - I thought it was rather good. The date on the album says 1981, but I'm sure it's a reissue of a reissue, and on a budget, budget label. And - no, you're not mistaken - "O' Holy Night" is on there twice. I have no idea why they did that because I couldn't find any difference between the two - they sound exactly the same. Maybe it was a mistake or they just couldn't find another song to put on this album. Or, they thought that someone who really loves that song could listen to it no matter what side of the album was being played. Anyway, y'all have a very MERRY CHRISTMAS and a HAPPY NEW YEAR!!! See you in 2009 with more cool albums! Here's yet another treasure from the HPB bargain bin (I can't believe people get rid of some of these records!). I got this one at a different store than my usual and was delighted to find that the records in that store's bargain bin are only 50 cents instead of a dollar! Wow! I even bought a double album for 50 cents!!! Anyway, this one should take some of you back to the days when you wore the platform shoes and white polyester suits to go dancing at the disco. I had no idea there were disco Christmas albums! Boy, they think of everything! And I really liked this album - it's a new way to listen to those traditional Christmas carols. They've got a beat and you can dance to them! Plus, it's got "joyous disco versions of great Christmas classics!" Well, this post is dedicated to my old friend from high school, Cecil, who was the disco queen of our class. Hey, all! Well, I finally finished putting together my Christmas compilation for this year. I was going to let iTunes randomly pick the songs for me, but I was never happy with the choices so I decided to just go through all my Christmas songs and hand-pick the songs. 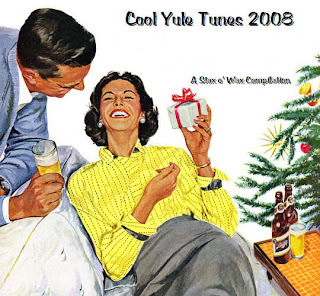 This is a little different from last year's Cool Yule Tunes - I think it has more less-traditional Christmas and holiday songs. But it's great to play in the car, or add to your iPod, or play at your Christmas party! And if you go download last year's compilation, you'll have double the fun! This is basically "my Christmas card to you" (as the Partridge Family would sing), and I hope that you enjoy it as much as I enjoyed putting it together! 25. 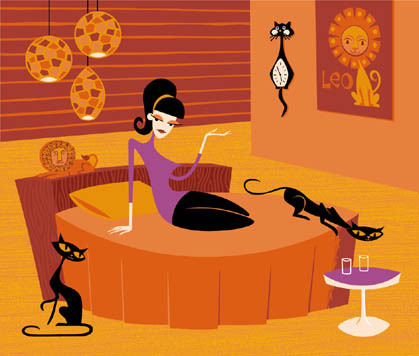 Baby It's Cold Outside - Carmen McRae & Sammy Davis Jr. Here's a real treasure that I found at HPB - and I didn't get it from the bargain bin! I didn't even know about this album, so you can imagine my surprise when I found it and for so cheap ($3.98). Does anyone know if there's any other record that Frank and his kids recorded together? Well, I think it's just dandy that we get to hear Tina and Frank Jr. each sing a song on this. Nancy was already recording hit records, so she gets two solo songs on this album, plus a duet with Tina. But my favorites are the songs where Frank Sr. and the kids all sing together. I especially like their version of "The 12 Days of Christmas". So, better hurry and download this one before it goes away! 3. Some Children See Him - Frank Sinatra Jr.
Today's share is one of my mother's Christmas albums. I grew up listening to this album, and I remember that, as a child, I thought it was really boring, although I liked the cover (especially the girl's dress and hairdo). I preferred the Chipmunks to this, but as I was recording this album the other day, I really liked it! I guess I've grown up. Sigh. It was bound to happen sooner or later. Anyway, the cover scan is one I found on the internet because, once again, my mother wrote our last name all over the cover. (Mom was a schoolteacher and often took her records to play for her class or for the Christmas pageant, so she had to make sure and label her stuff to get it back.) So, go listen to this record because, as it says in the liner notes, "The Midnight String Quartet presents the Christmas album of the year, and for every year to come!"